As a resident of Hot Springs since 1986 Jim has extensive knowledge of all facets of real estate in the Hot Springs area including commercial sales and leasing, aquisition or dispersal of investment property including utilizing section 1031 tax free exchanges plus rural tracts and other business opportunities. Living on the shores of Lake Hamilton since '86 gives Jim an in depth understanding and expertise when it comes to lake property. Jim has served in virtually every capacity for the Hot Springs Board of Realtors since 2001and served as the 2010 President. 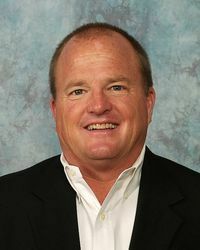 In 2010 Jim was honored by his peers as the 2010 Realtor of the Year.